Lily Levy Loves is the home of a passionate, dedicated beauty blogger with a fun, personal writing style; she addresses her readers as “loves” and writes with an informative but casual tone. 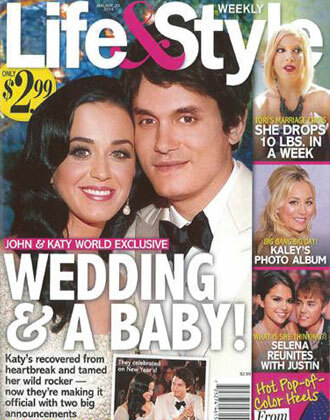 Lily Levy is here to share her experience with beauty and the like, and is very dedicated to that cause specifically. 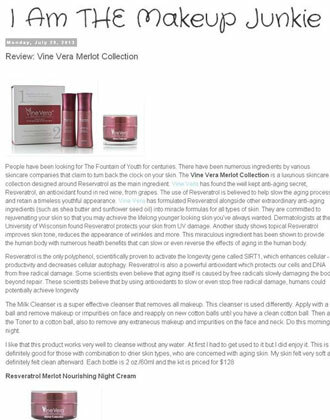 One recent beauty adventure she’s had is getting to try out Vine Vera skincare products. Specifically, she experimented with the Vine Vera Zinfandel Collection. 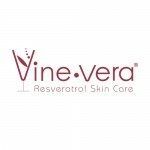 The Zinfandel collection consists of the Resveratrol Zinfandel Illuminating Pre-Mask and Resveratrol Zinfandel Illuminating Petal-Peel System for weekly use, and the Resveratrol Zinfandel Skin Tone Correcting Serum and Resveratrol Zinfandel Radiance Cream with SPF 30 for daily use. 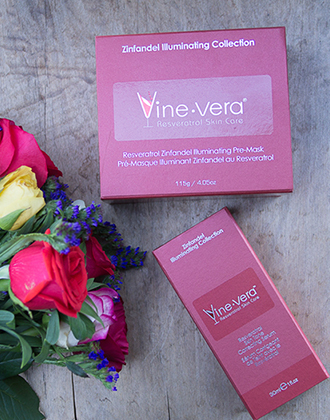 All Vine Vera products help to promote a radiant appearance and feel in the skin, but the Zinfandel Collection specifically targets issues such as uneven skin tone; one of the biggest signs of aging. After using all the products for awhile, Lily loved the way her skin felt and looked. 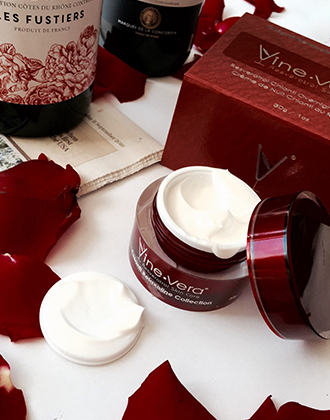 She reported that the Illuminating Pre-Mask and the Petal-Peel system made her skin feel refreshed, smelled wonderfully of roses, and left her face with a smooth feel and luminous appearance. Daily use of the serum and cream for about two weeks made it such that even her friends noticed and commented on an improved skin tone.